After months of writing & slogging away, I’m proud to announce Crafty Bartending’s official bartender’s guide, The Bartender’s Field Manual – A complete & practical guide for new & aspiring bartenders who want to land their first bartending job, craft delicious cocktails, make great money & travel the world. What is The Bartender’s Field Manual? The Bartender’s Field Manual is the ultimate guide to becoming a professional bartender. It’s a step-by-step system that takes new & aspiring bartenders through the process of landing their first job to learning all the skills necessary to succeed in this world. Breaking into the industry – a step-by-step job hunting strategy that works. 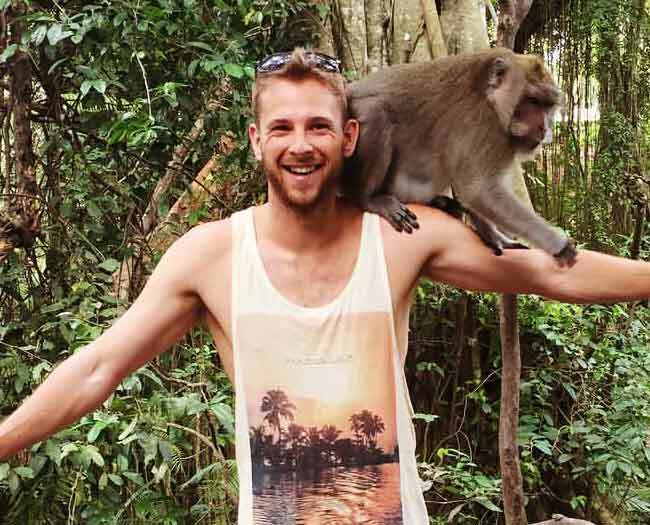 How to work behind a bar, fundamental principles, and advice on mastering your craft. How to provide excellent customer service, become the bartender everyone loves, & make more in tips! The theory of alcohol – learn everything you need to know about spirits, beer & wine. A complete cocktail making masterclass. Learn about the tools, the ingredients, the techniques, and the principles of mixology. So you can become a better bartender, faster. All-in-all, this book is an absolute beast. It’s over 300 pages, 33 chapters long, and 6 bonuses wide, giving you everything you need to start and lead a successful career in bartending. 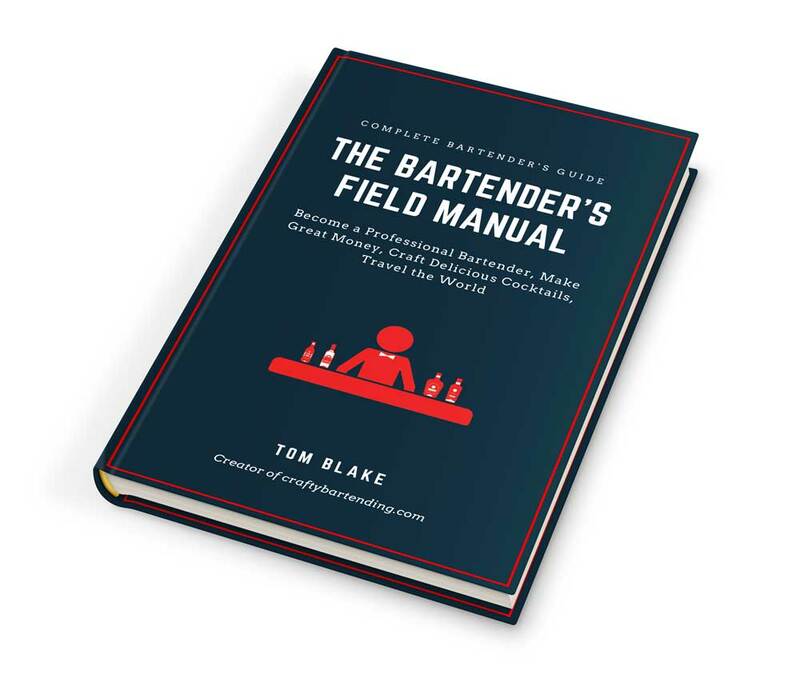 The Field Manual has been written specifically for new & aspiring bartenders. If you’ve been struggling to find a job, you’ve never tried, OR you’ve just started working in the industry, this book is for you! You’ll get a complete breakdown on the hospitality industry, how to land your first bartending job, and how to become one of the pros. On the other hand, if you’ve been working as a bartender for more than a couple of years and you’re confident with the theory of alcohol and the craft of the cocktail, The Field Manual probably isn’t for you. Whilst you may find useful snippets, you’ll get more bang for your buck reading something else, like one of these. For everyone who wants it now, we’re launching the book at 25% off! So you can get full access to the field manual now until the end of this week for $29 – For what you get, that’s an absolute bargain! The best alternative to bartending school – don’t waste your time & money, this book covers everything bartending school teaches you. And more! Over 130 amazing cocktail, shooter & mocktail recipes inside. Cheat sheets included. Once you’ve applied what you learn in the book and you’ve broken into the industry, you’ll make back what you paid for it in less than 2 hours – for such a small initial investment, it’s a no-brainer really. Finally, I can’t wait to hear what you all think of ‘The Bartender’s Field Manual.’ I’ve spent almost an entire year making it the best bartender’s guide it could be. It’s the book I wish I had when I was starting out so I’m sure you’ll find it useful. Buy Now to get 25% off!